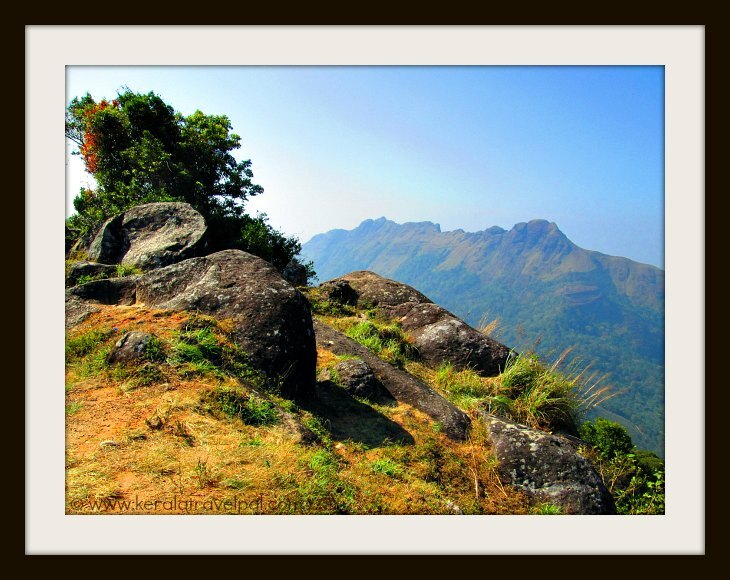 Ponmudi is a hill station in South Kerala, about 60 kms from Trivandrum city. At an altitude of 1100 metres, the hill top is cooler than the plains. Most part of the year, the mist covered peaks are a great relief from the heat of the lower plains. 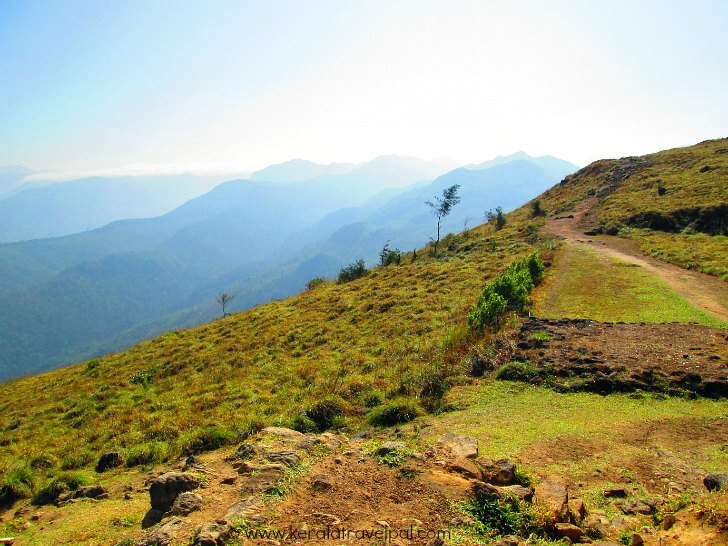 Ponmudi is a location that fits well with a day tour. Will it take too long for a day to be over? Not at all. I would not advise several days stay, since it is not Munnar or Wayanad. Not against it too since there may be people who just want a crowd free hilly spot, simply to walk through the meandering lanes and sit and feel the energizing breeze. And they may need well more than a day of solitude. For them there are couple of places to book for overnight stay. Other than that, there are no home stays or hotels. There are not many shops or restaurants, so you are better off with taking packed food for Ponmudi tour. Don’t you feel it is much nicer to sit and eat atop the hill with such a fantastic view than the confines of a tiny room? And amazingly, there is more privacy at the vast hill top than any restaurant. The climb to the hill top is either enchanting or nerve-racking, your pick. A narrow road takes 22 hair pin bends, in the short and steep final stretch. Sweet, isn’t it? Or is it? Let me tell you that the scenery is awesome all the way through. There are plantations, rivulets, woods, waterfalls and view points along the way. A good place to stop by is Golden Valley, the valley which gets covered in mist at times and hence popular. A must visit place is Meenmutti waterfall. Enroute to Ponmudi, at Kallar, is the diversion to Meenmutti. The waterfall is inside the forest, at a walking distance of about 1.5 kms from the car park. This walk is through the woods is great and even needs crossing River Kallar, which is a tiny trickle, except for rainy season. During the rains, the River swells so that a lengthier detour is the only option. For those who want to take matters further, there is another waterfall – Kombaikini, a further two kms in to the forest. Guides are there to help you reach these jungle beauties. Are you keen to see animals? There is a deer park, a few kms away from Ponmudi. If seeing just deer is not enough, there is a full- fledged Wildlife Sanctuary at Peppara. It is a 53 sq km haven for a variety of animals such as elephant, lion tailed macaque, barking deer, wild boar, tiger etc. A broad ranged wildlife tour is also possible connecting Ponmudi and Thenmala. You can even add Konni to it. However, Konni only has a small elephant training outfit, so you can give it a miss and include Palaruvi instead. Palaruvi, one of the largest waterfalls in Kerala is near to Thenmala. After that cross Kerala border and visit Courtallam, one of the majestic waterfalls in South India. Choice is limited to a government guest house and a more upmarket hotel by KTDC. Monsoons bring heavy rains to the region, so better to avoid June till August unless you are an avid fan of rain. Expect evening rains during September and October. From November till February, the rains are less and the mist is around. So it is the best time to visit. From March till May, the weather can be hotter, and visitors will have to give a miss to the magic of mist. Below is a photo taken in January, when mist was missing and heat had set in. Ponmudi is about 60 kms from Trivandrum city.The route is Nedumangadu, Chulimanoor followed by Kallar. Trivandrum has an international air port, a major rail head and several bus stations. Nearest towns: Trivandrum City at 60 Kms and Nedumangad town at 39 Kms. Railway Station: Trivandrum Railway Station at 60 Kms. Air port: Trivandrum Int’l Airport (TRV) at 60 Kms. Food Options: KTDC’s Golden Peak Restaurant and a couple of others. Taking packed food highly recommended. Accommodation Options: KTDC hotel and a government guest house. Range of hotels, motels, home stays and resorts at Trivandrum. Best time to visit: September till March. Can be visited throughout the year, heavy monsoon rain (Jun-Aug) can severely restrict travel plans though. Nearby Attractions : Thenmala, Peppara Sanctuary, Palaruvi falls, Kovalam, Somatheeram beach, Varkala beach, Kappil backwater, Neyyar Dam and Wildlife Sanctuary, Agastyakoodam, Poovar beach, Pozhikara Beach, Vizhinjam Rock Cut Cave Temple, Napier Museum, Kanakakunnu Palace, Sree Padmanabhaswamy temple, Kuthiramalika Palace Museum, Sree Chitra Art Gallery, The Akulam Boat Club, Veli tourist Village, Pareekshit Thampuran Museum, Kanyakumari, Koyikkal Palace and Trivandrum City (shopping, food & fun).